Despite the terrible events of September 11, the Las Vegas Conference was a success. Though it was slightly smaller than the Nashville conference (our largest ever), we still had participants fly in from as far away as the United Arab Emirates. Many authors who were a bit uneasy about flying took advantage of the Internet Division and were able to participate without traveling to the conference. We would like to extend our heartfelt appreciation to all who participated. It is the authors and the conference participants who make the Allied Academies successful and who support our efforts to achieve our mission. As a result of your comments and our continued efforts to improve upon our efficiency, we have instituted new submission procedures that we think will be more helpful to participants and increase our ability to process submissions more efficiently. We are moving toward an online system that will allow us to provide the highest level of service possible to our members. Please take a moment to familiarize yourself with the Submission Instructions. We have also updated our Publication Guidelines with more detailed preparation instructions. We hope that the new guidelines will enable us to process papers more quickly, thereby enabling us to maintain our short deadline periods. Please take a moment to familiarize yourself with the Publication Guidelines. We would also like to welcome Dr. Reagan McLaurin from the American University of Sharjah. He is the new Editor of the International Journal of Entrepreneurship. Our Spring 2002 International conference will be held in Nashville at the Embassy Suites hotel. Nashville was host to the single largest conference in Allied Academies' history, and we expect this to be another great conference. We hope that all of our members will be able to participate, either by attending or via the Internet Division. See our Submission Instructions page for information on submitting. We hope to see you all there! Due to the continued popularity of the Internet Division, we will have our fourth International Summer in July 2002. It will be the same as a physical conference in every way, with the exception of having to travel. Participants can submit their papers for award consideration and the winners will be published in the appropriate Journal. There will be a conference Proceedings published on-line as well as on CD, and a conference Program published both in hard copy and on-line. A bulletin board will be live on the web site where participants can post comments and questions regarding the papers published in the Proceedings. All participants can also submit video taped or Power Point presentations to be published on our web site as a companion to their paper. The Internet conference will run for two weeks giving all of the participants plenty of time to participate as their schedules and time zones allow (no strict schedule will be required). See our Submission Instructions page for information on submitting. The new issues of the Journals will be going to press this December. We will also be publishing them on-line. We are continuing to add more back issues to our web site and hope to have all of the Journals available on-line before the Nashville conference. The fourth award given by the Academy of Educational Leadership to an individual for INNOVATIVE AND CREATIVE TEACHING went to three recipients this year. Bernard J. O’Connor, Eastern Michigan University; Robert M. Peterson, University of Portland ; and Balasundram Maniam, Sam Houston State University all received plaques. The criteria for recognition include the exercise of creative or innovative teaching practices; and, recognized stature as an outstanding instructor. 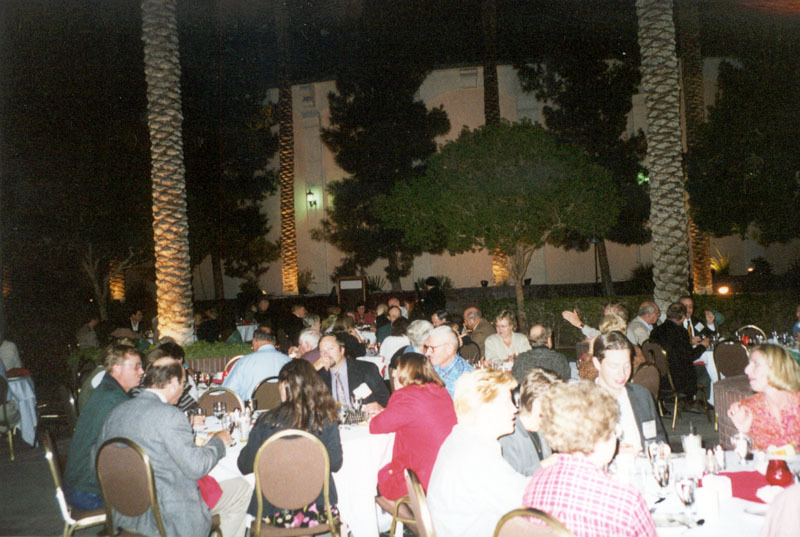 We would like to congratulate the Distinguished Research Award Winners for Las Vegas, 2001. The competition was extremely rigorous and intense. After extensive review, the panel of judges awarded distinguished research status to less than 20% of the manuscripts. The authors of the following works received engraved plaques, and the manuscripts will be published in the next regularly scheduled issue of the appropriate journal. Because the volume of high quality research was so high, the Awards Committee decided to identify a number of manuscripts for honorable mention status. Authors of manuscripts awarded this distinction were recognized with a medallion and a certificate to mark their achievement and the manuscripts will be published in the next regularly scheduled issue of the appropriate journal. With these added award winners, the number of manuscripts selected for publication was 25% of the eligible total. Troy Schroeder, Rocky Mountain Drywall, Inc.
Financing Growth: Can You Afford to Grow? Cue D. Kim, Drake Beam Morin Korea, Inc.